The Preliminary Seven Celled Table of orders consists of three levels, which includes 7 orders of the buyers. The levels are arranged from top to bottom. Placement of customer orders is from left to right, also taking into consideration the recommendations made. Once the first-level of the Table of orders is filled with the customer orders, the Table splits into two symmetric tables of orders. The order of the buyer moves down to the second level. At the first level of two new Tables of orders 4 new empty places are formed for new customer orders. 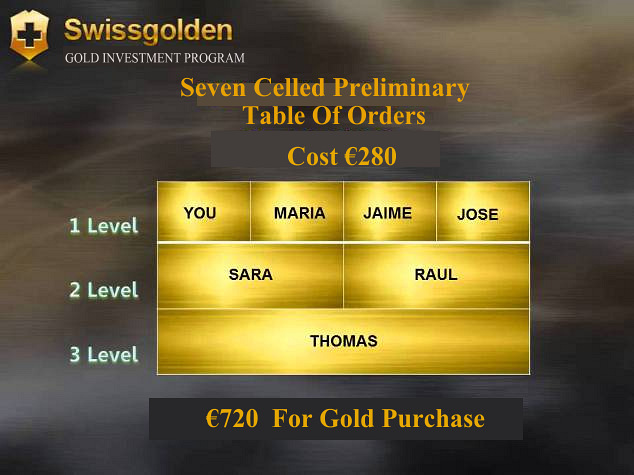 At the following table division, the buyer's order is charged with €720 Credit bonuses, which are used for the passage of the Customer's order to the Main Table of orders and under the condition of the qualification fulfilment the bonus remuneration in the amount of €80 credit bonuses will be charged. €8 credit bonuses (10%) will be deducted as the order processing fee. 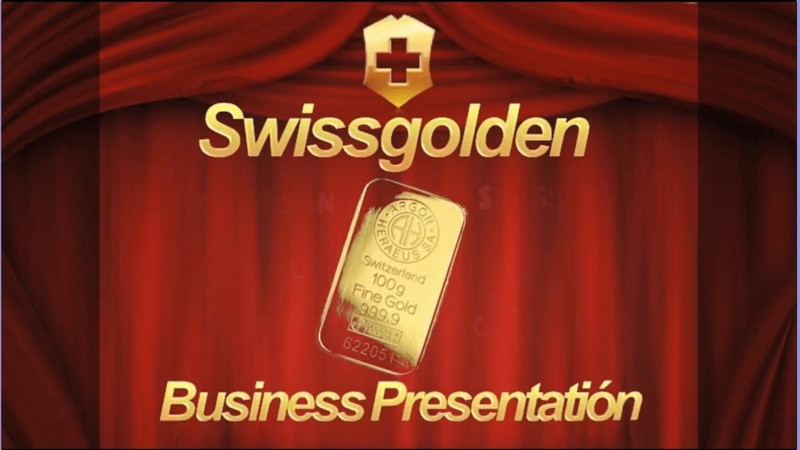 The investment gold bars are bought for the rest of €72 bonuses. After the full execution of the order, the customer passes to the Principal Table of Orders. If the customer did not attract the minimum of two orders to the Preliminary seven celled table of orders, i.e. did not fulfil his qualification, his order automatically passes to the Principal table of orders without credit bonuses to be charged.